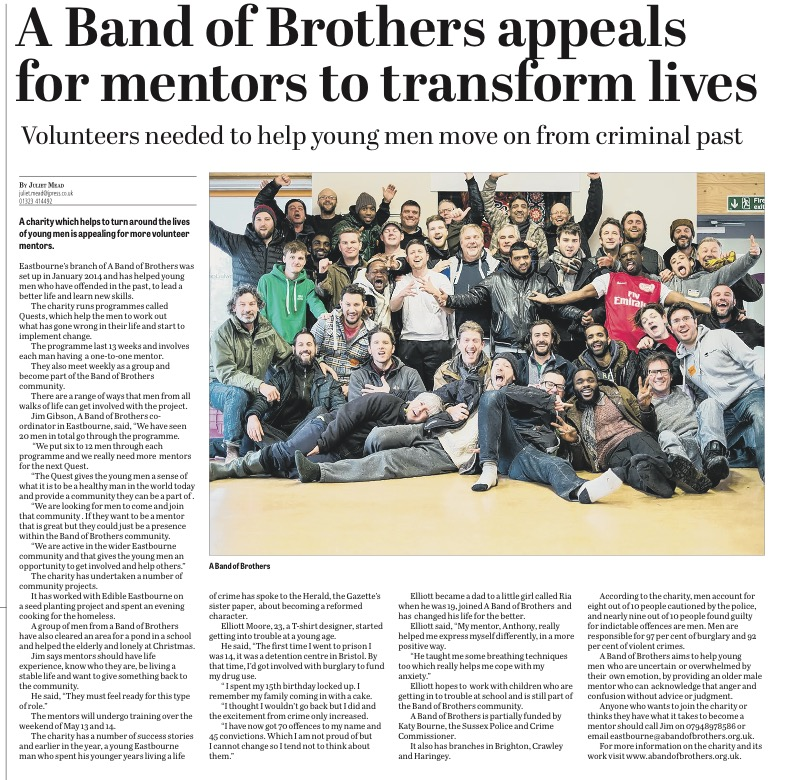 abandofbrothers Eastbourne was formed in January 2014, when a group of local men responded to an advert asking for mentors to help young, male ex-offenders in the local area. The first group of mentors trained in late February, and by the summer there were enough men to run our first mentoring cycle. 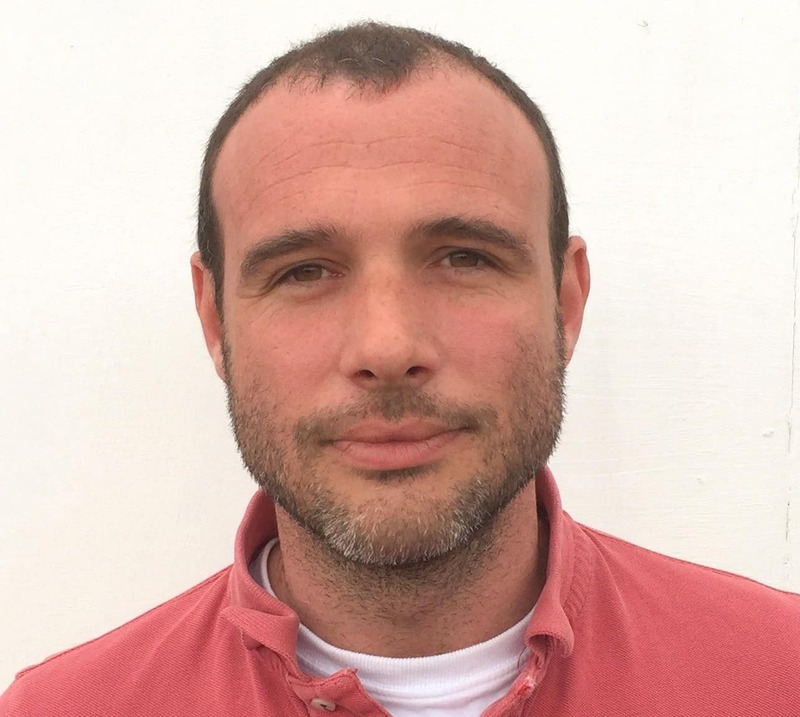 The group includes men from a wide variety of professions, including two teachers who have first-hand experience of working with teenagers in the Eastbourne community, and who see the challenges they face every day. Many of the young men have told us that before they joined abandofbrothers they felt trapped and alone in a system that didn’t care, with no role models or support to look up to. We see ourselves very much a part of the wider Eastbourne Community and look for opportunities to be of service. In the last three years we have worked alongside many local organisations. These include: a planting project with Edible Eastbourne; feeding the elderly and revitalising green space for Eastbourne Homes; running a boxing programme in partnership with Eastbourne Boxing Club; providing a soup kitchen at Cornfield Tea Room over Christmas for local homeless people; and supporting the BoHo Light festival. abandofbrothers Eastbourne has its own management committee who meet monthly. We benefit from being a part of the overall charity umbrella but have the flexibility to make the programme fit the specific circumstances and needs of Eastbourne. 22 year old Jake Gynn tells the Eastbourne Herald how the Quest helped him let go of the deep sadness and guilt he’d been carrying around since he was a child. Abob CEO, Nathan Roberts in the Guardian on the prison crisis. The Guardian’s ‘Comment is Free’ section invited Abob’s CEO, Nathan Roberts, to write about why the prison crisis is happening. 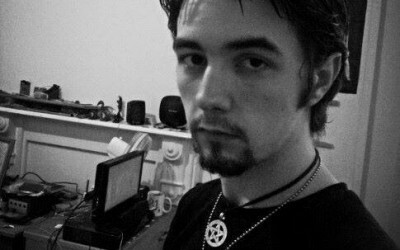 Nathan explains: “Young men don’t mature psychologically until their mid-20s. Condemning so many to the toxic environment of our jails is a recipe for re-offending and suicide” in a very strong piece.